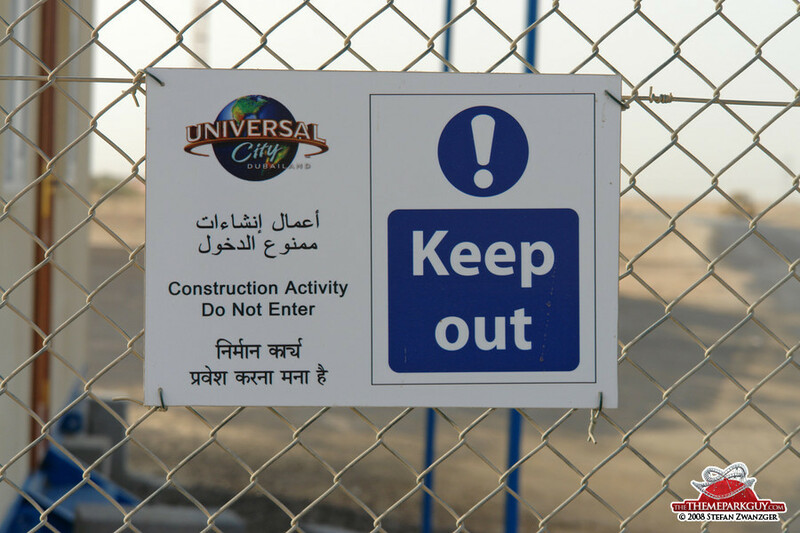 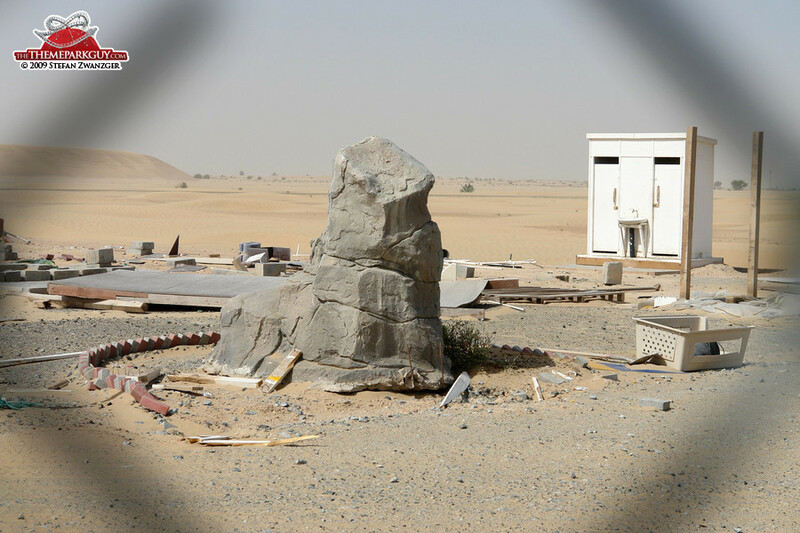 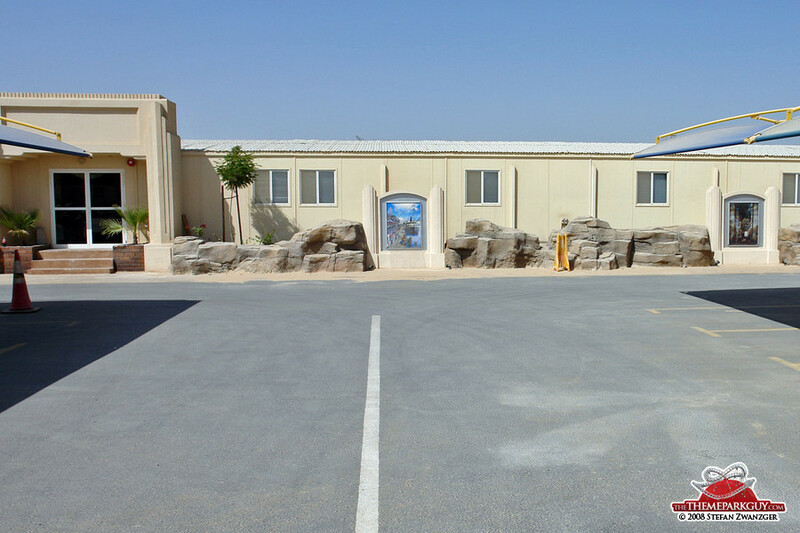 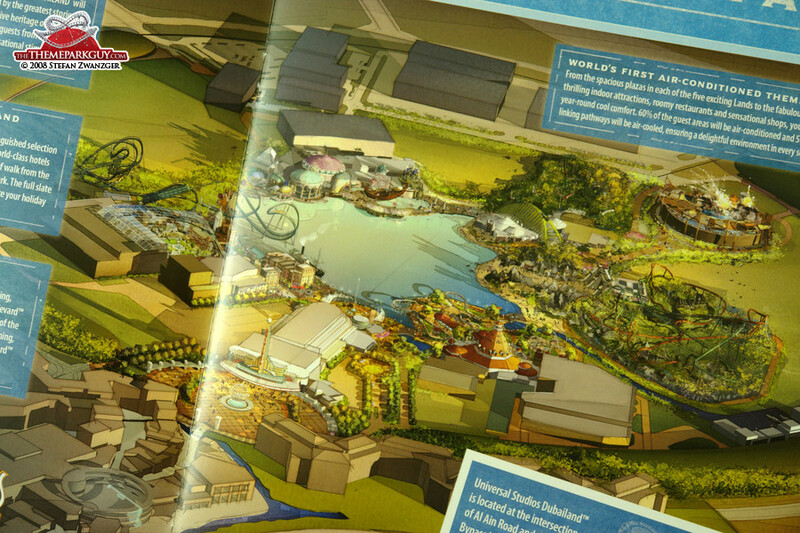 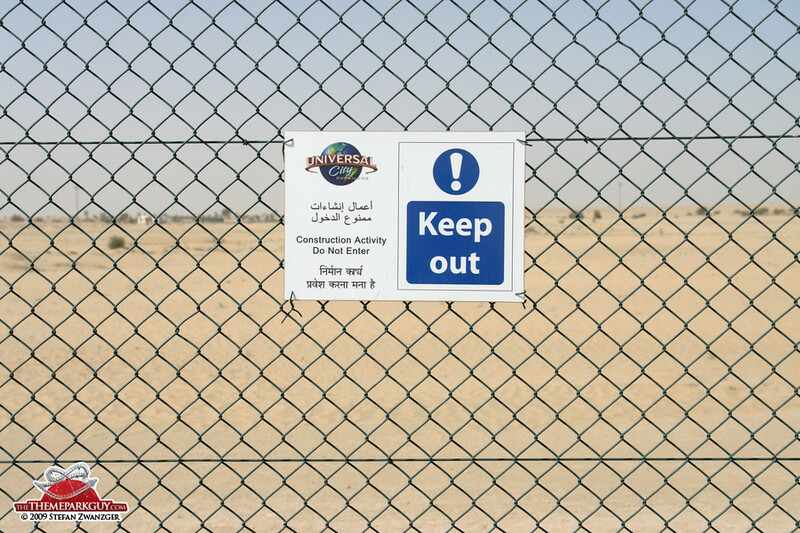 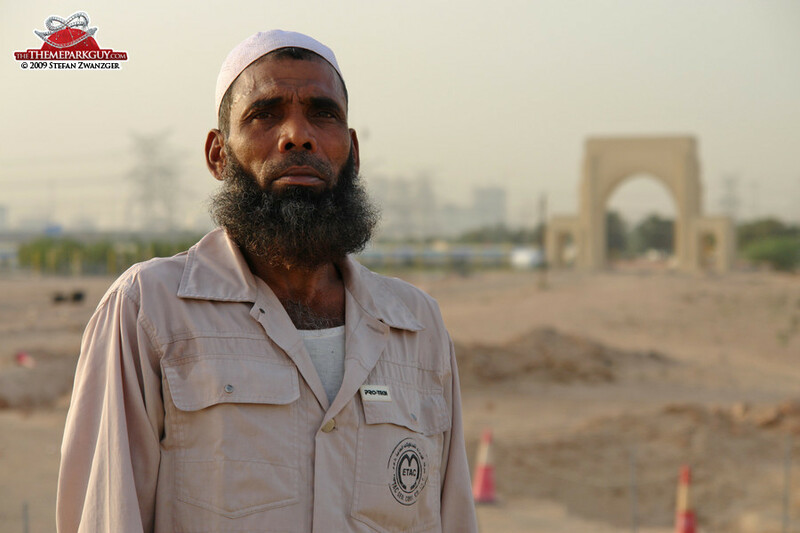 Unfortunately, construction of Universal Studios Dubailand is currently not progressing. 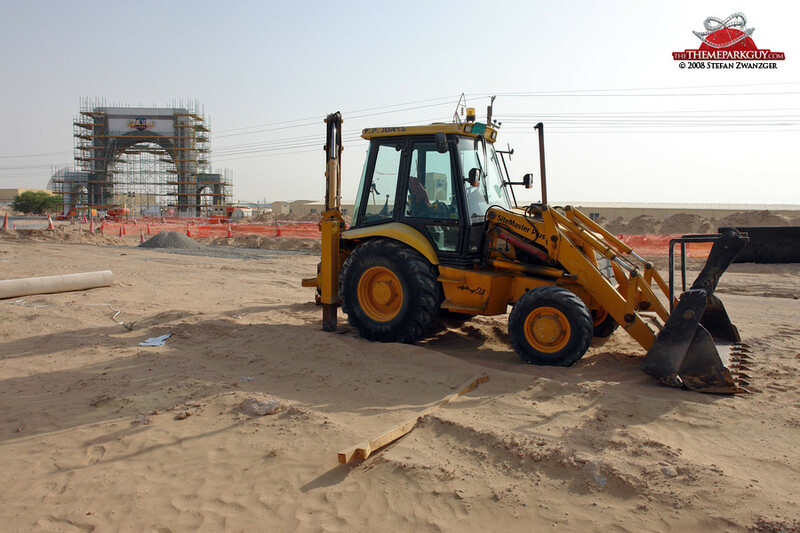 It appears construction came to a stop shortly after a huge number of employees were made redundant at the end of last year. 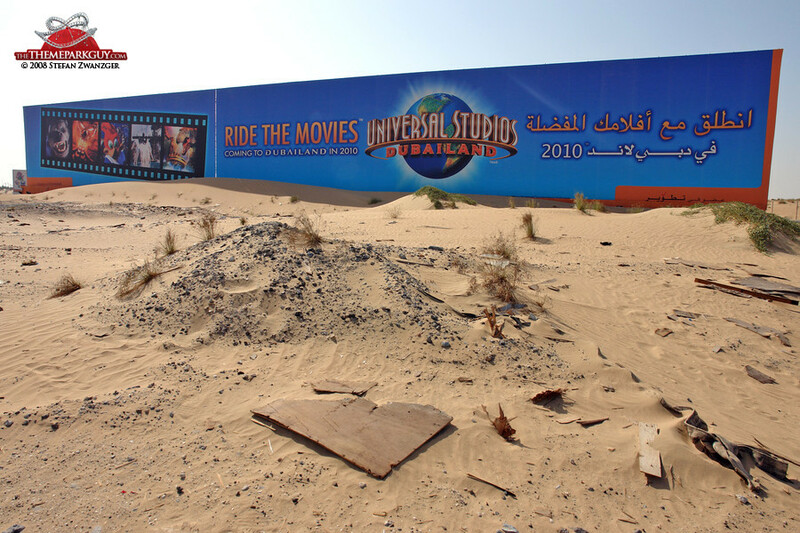 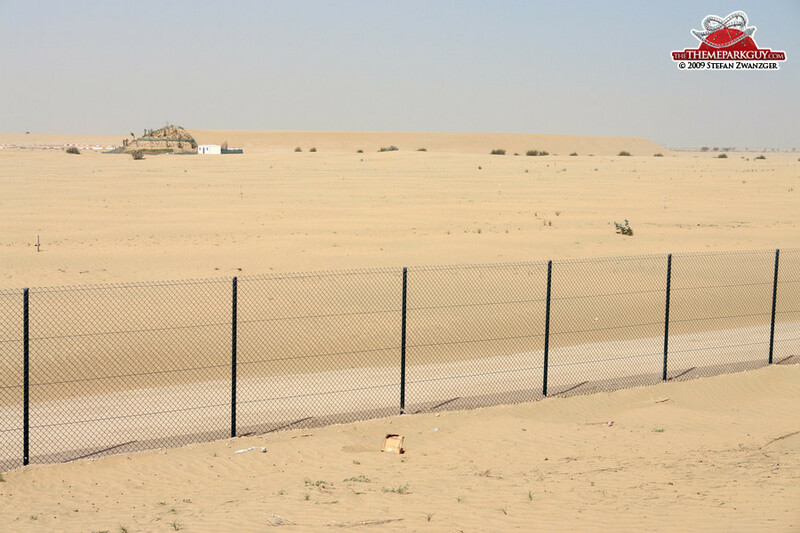 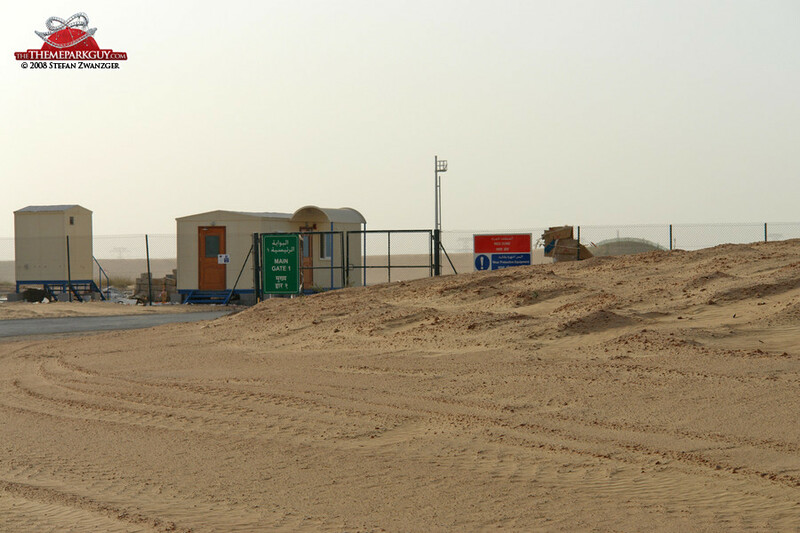 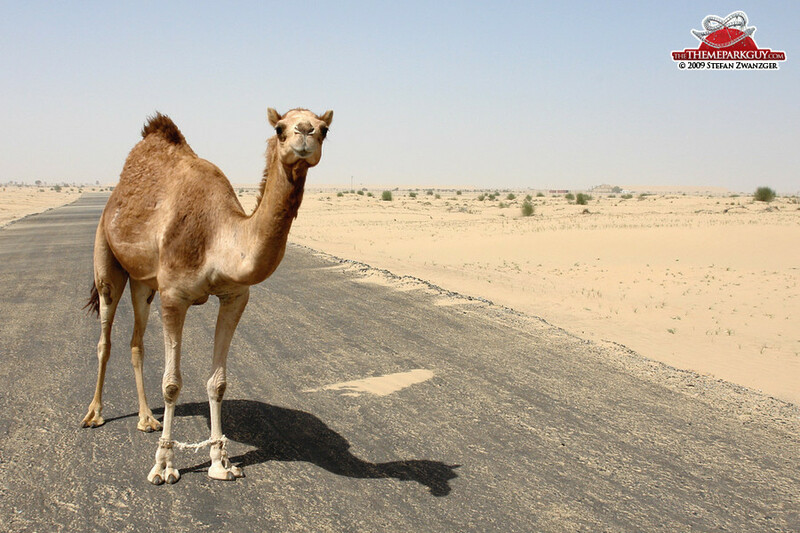 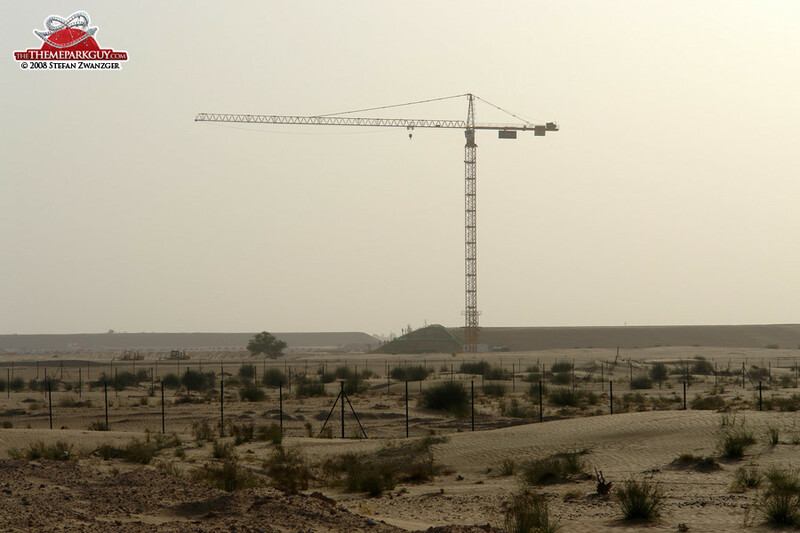 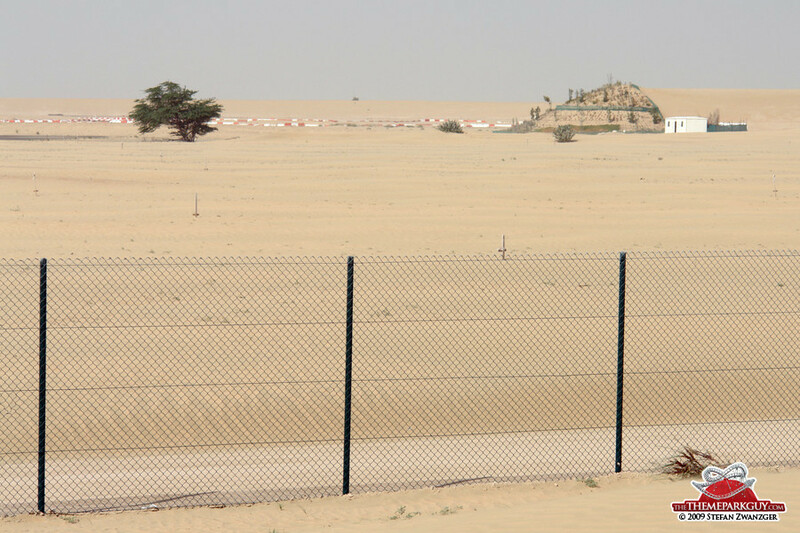 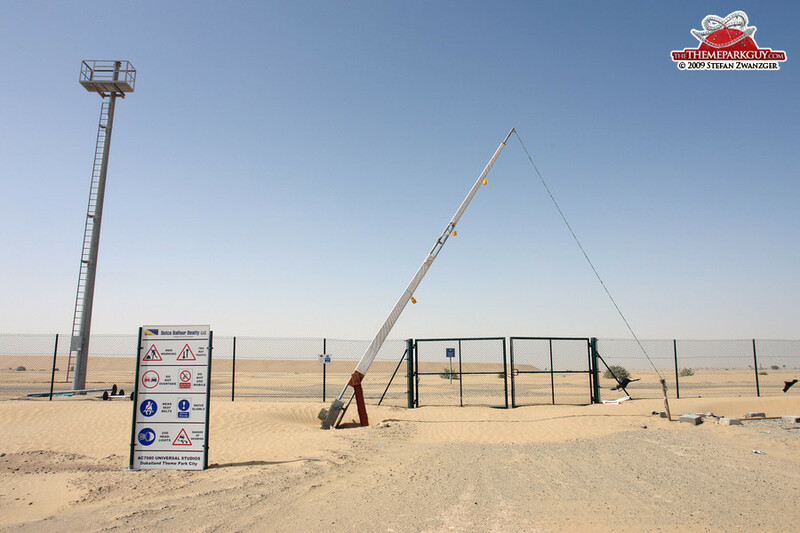 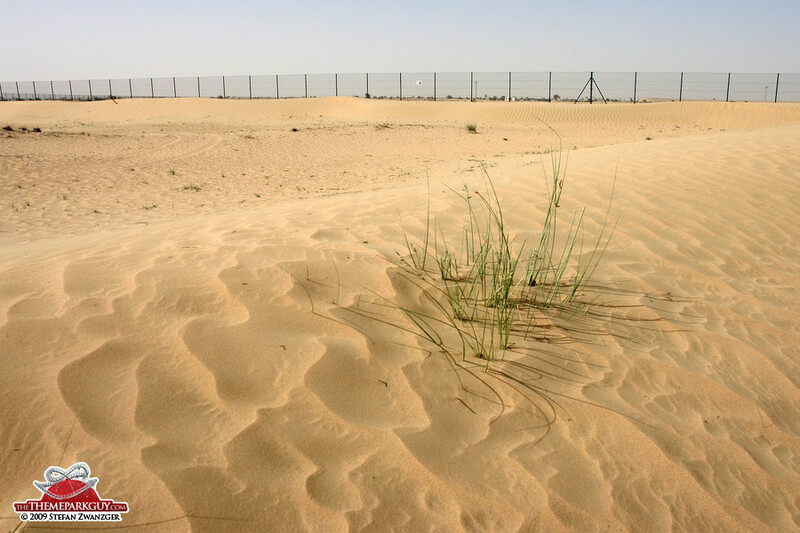 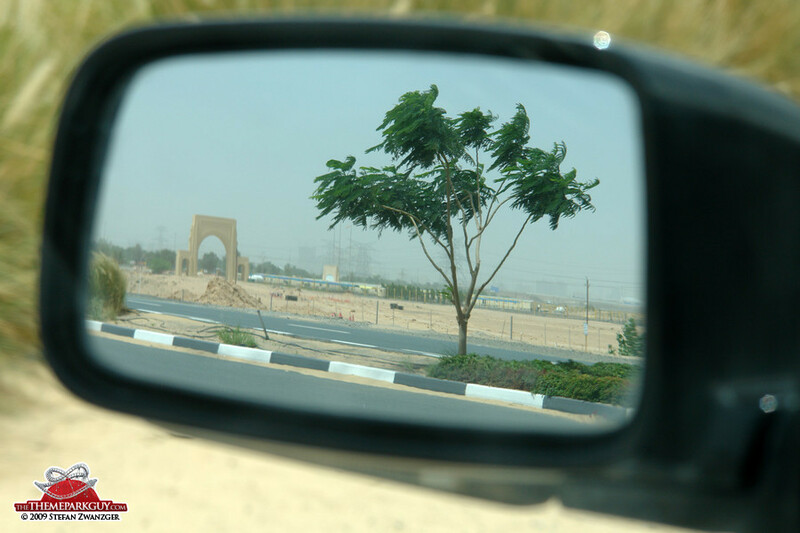 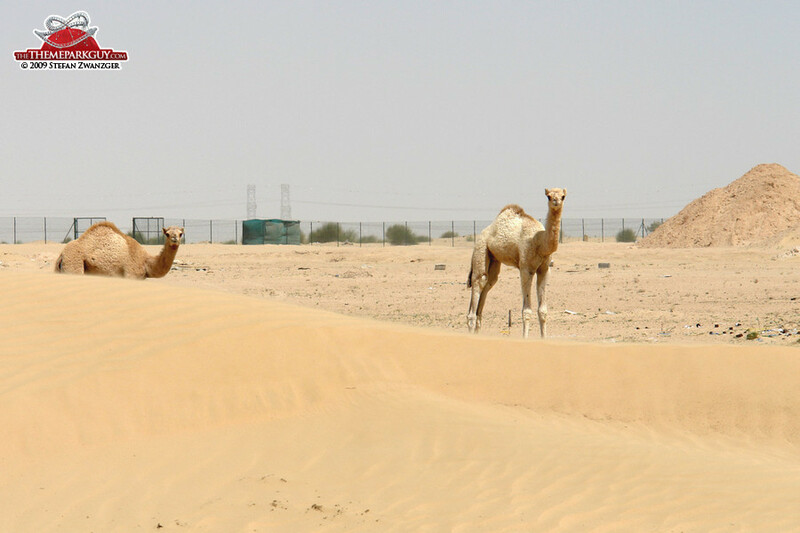 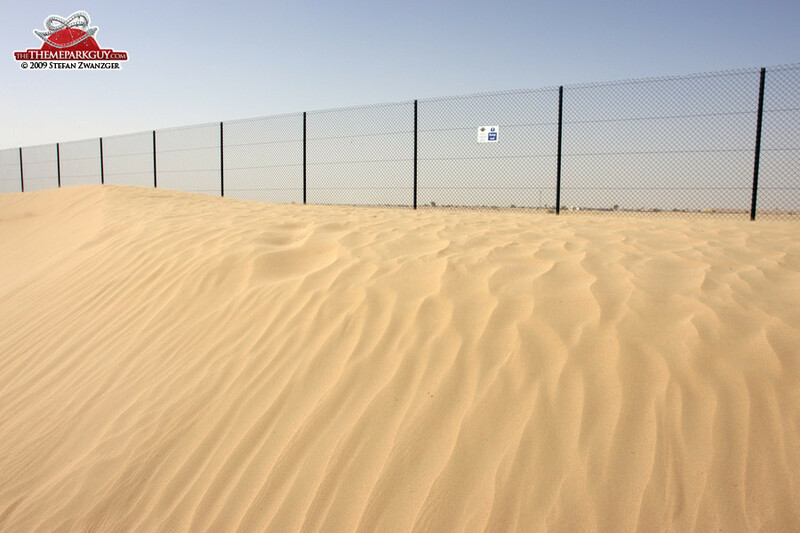 A 15-minute walk through the desert starting from Dubai Outlet City Mall reveals that there are no cranes, no workers, no activity: the site looks pretty much the same as in the photos from 2008. 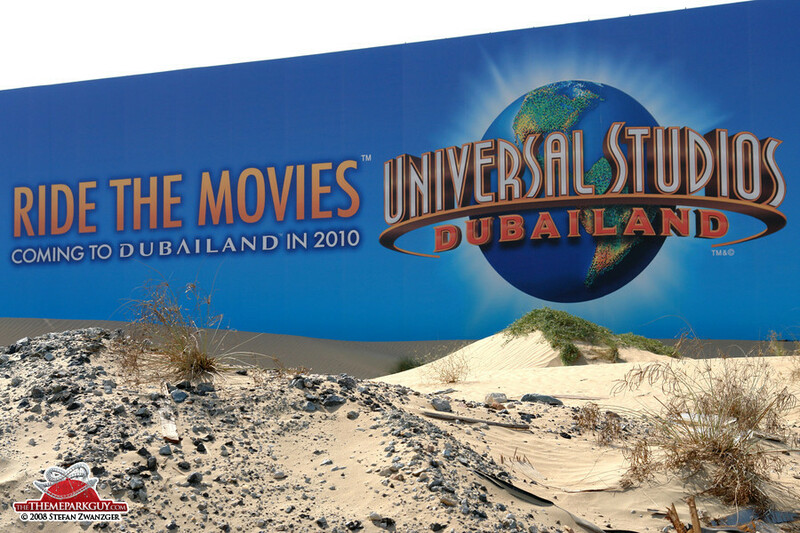 Universal Studios Dubailand is one of my favorite theme park projects and its setting in the middle of the vast, pure desert (the area surrounding the site really is an absolute no-man’s-land) makes it so unique. 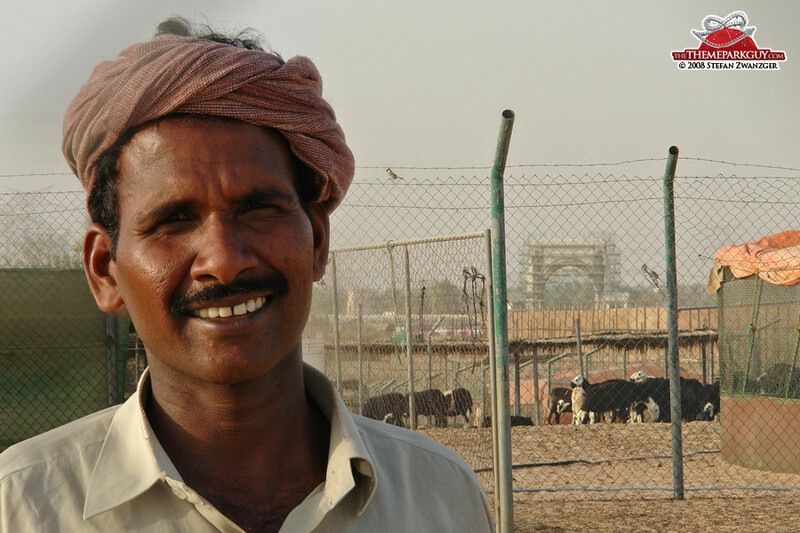 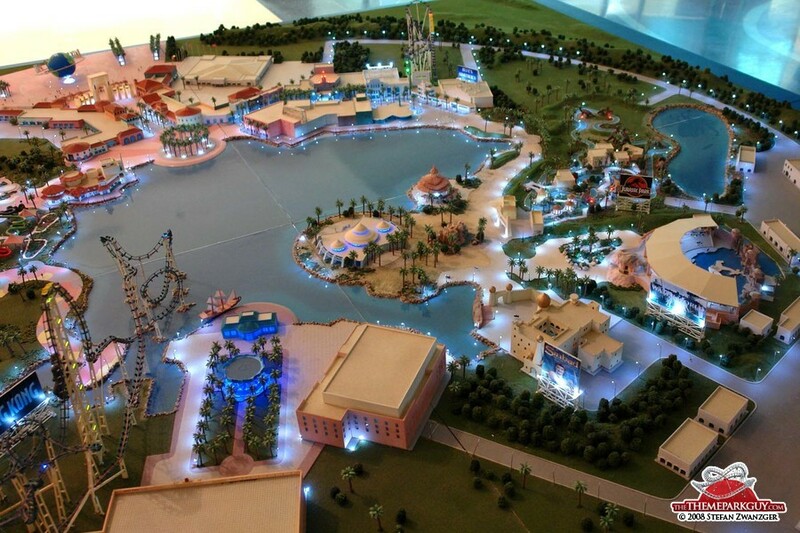 I believe if anything in Dubailand will see the light of day, then it will be this one. 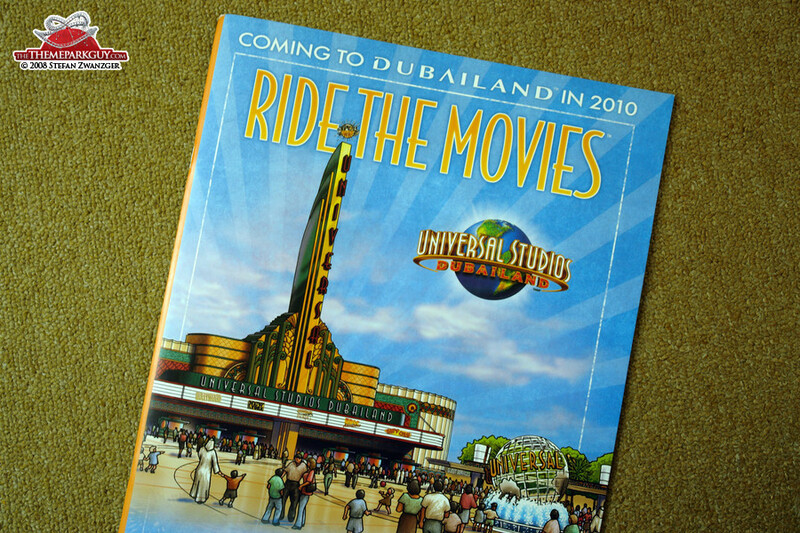 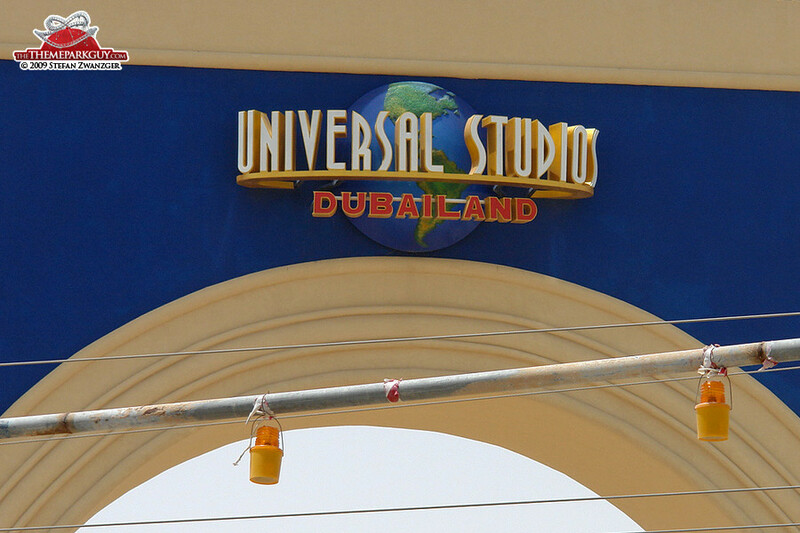 Universal Studios is a matter of prestige for Dubai. 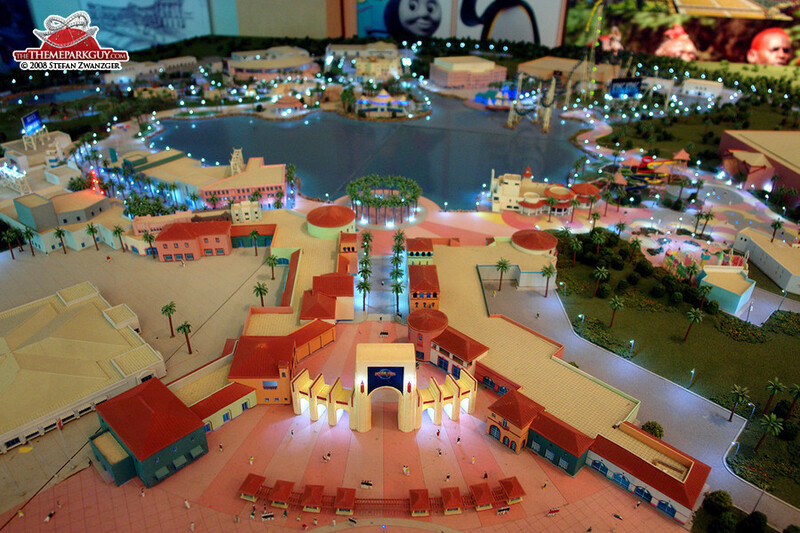 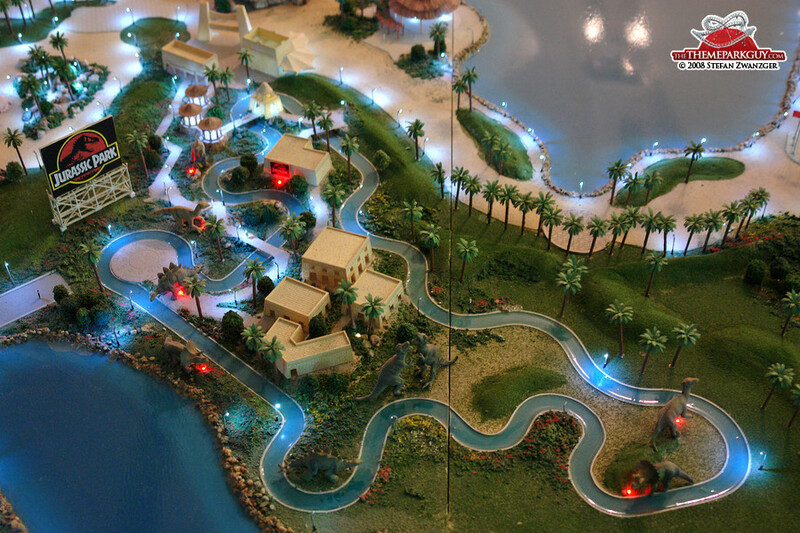 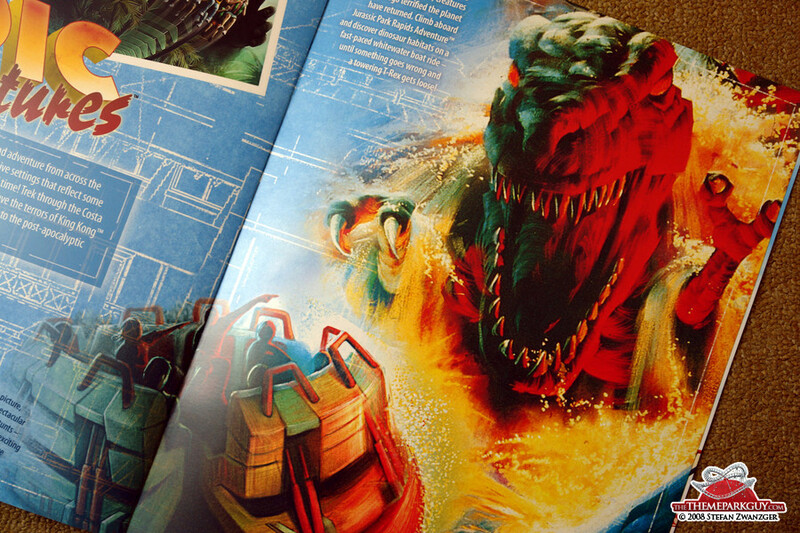 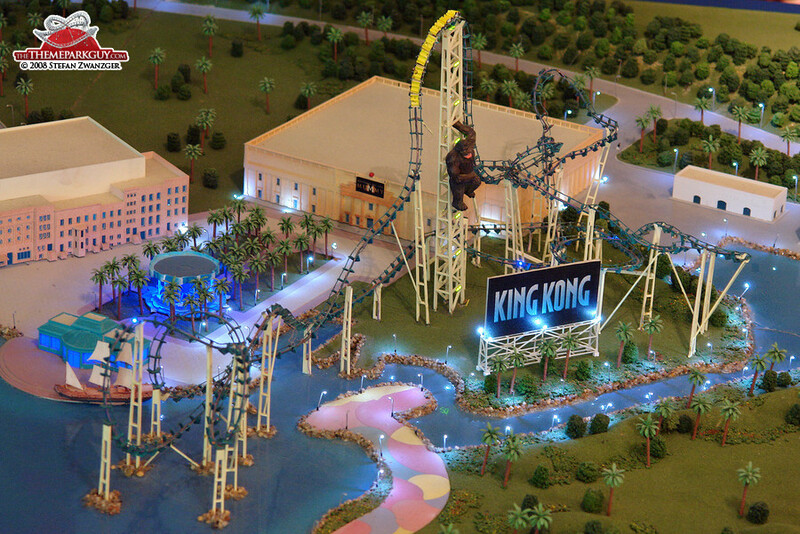 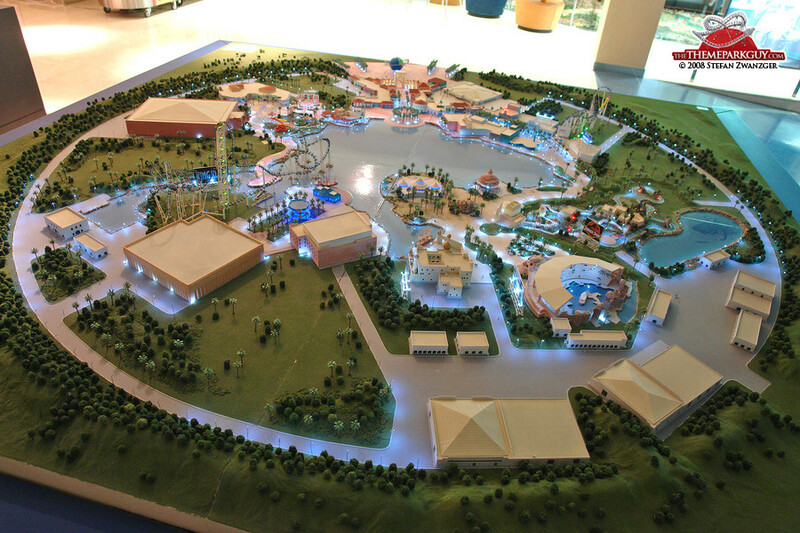 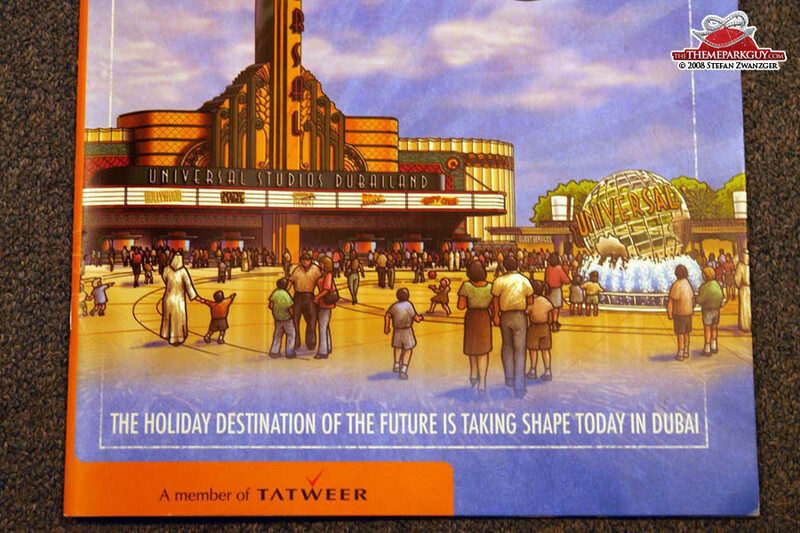 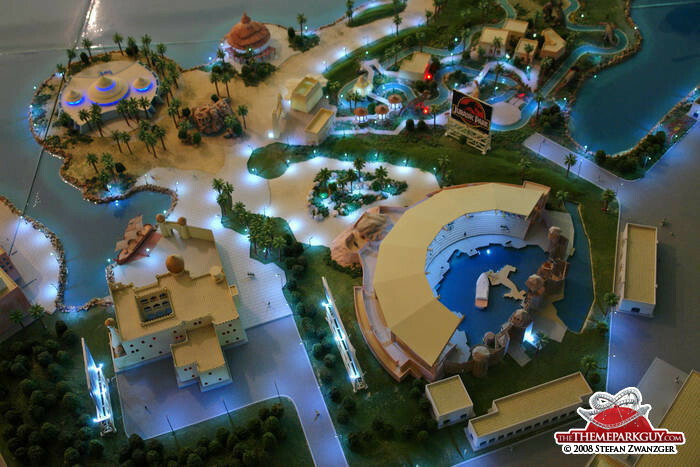 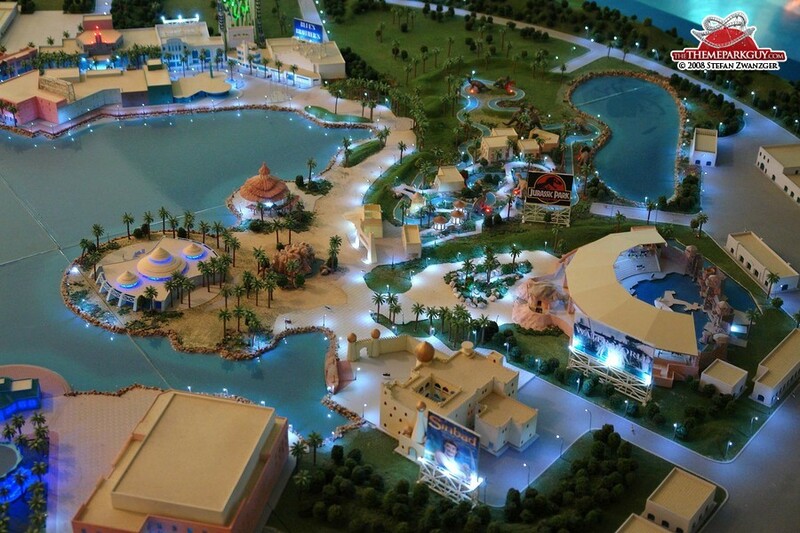 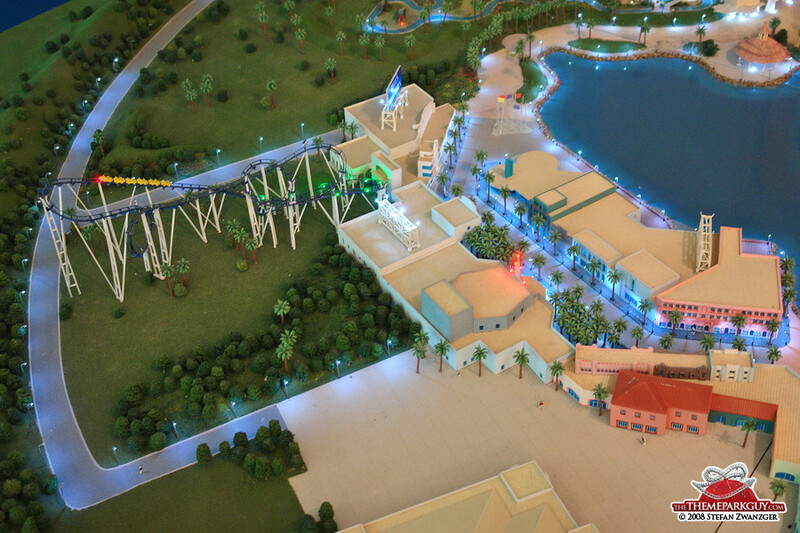 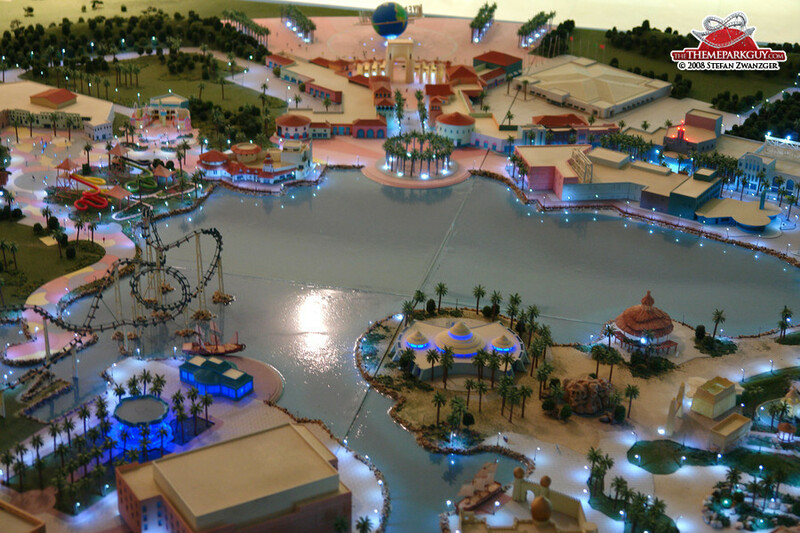 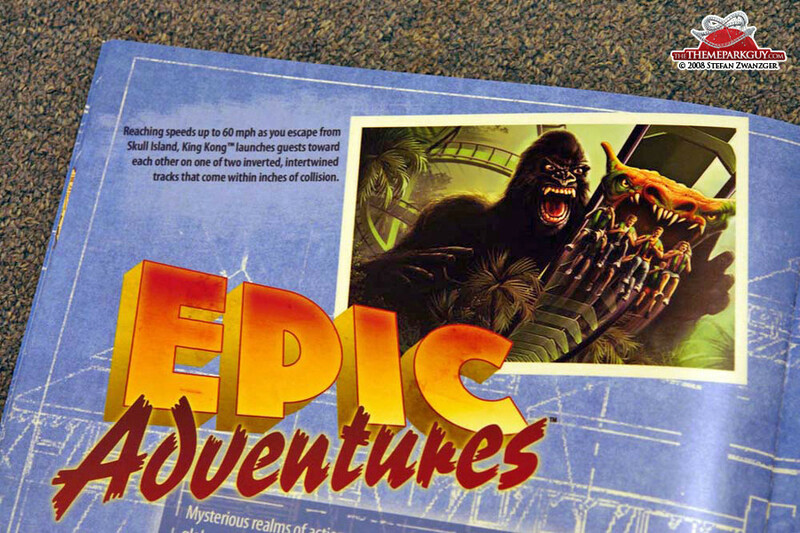 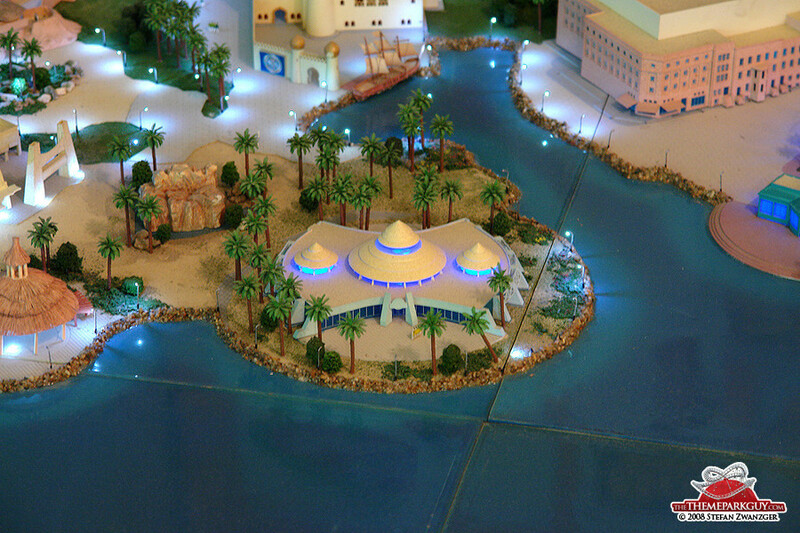 UAE-based newspaper Gulfnews reported in January that the opening of the theme park had been delayed from 2010 to 2012. 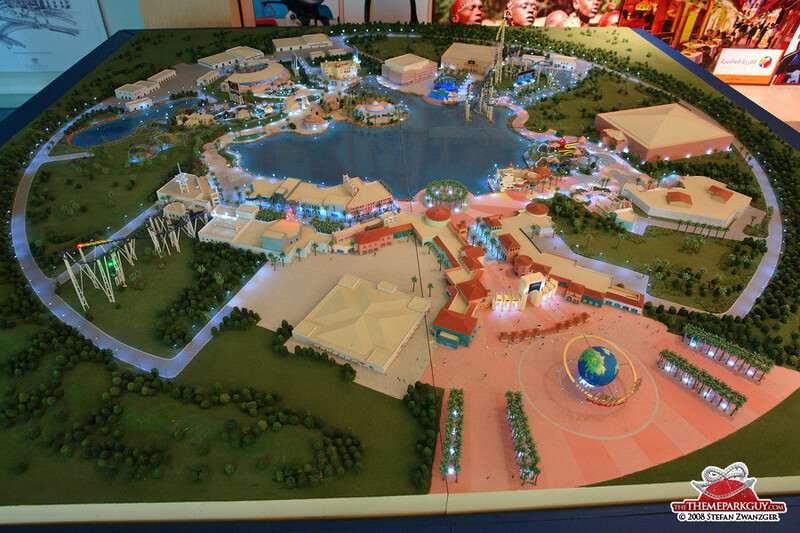 I will divert my eyes elsewhere for now and wish the parties in charge success in getting this project underway again. 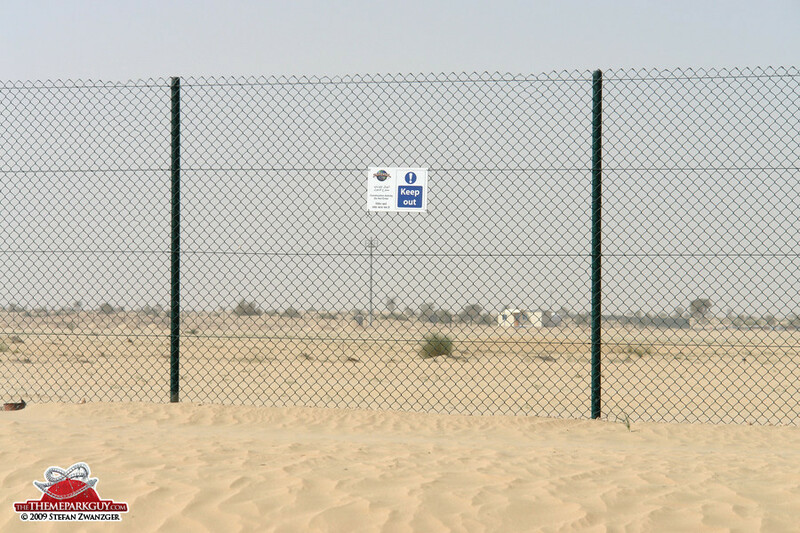 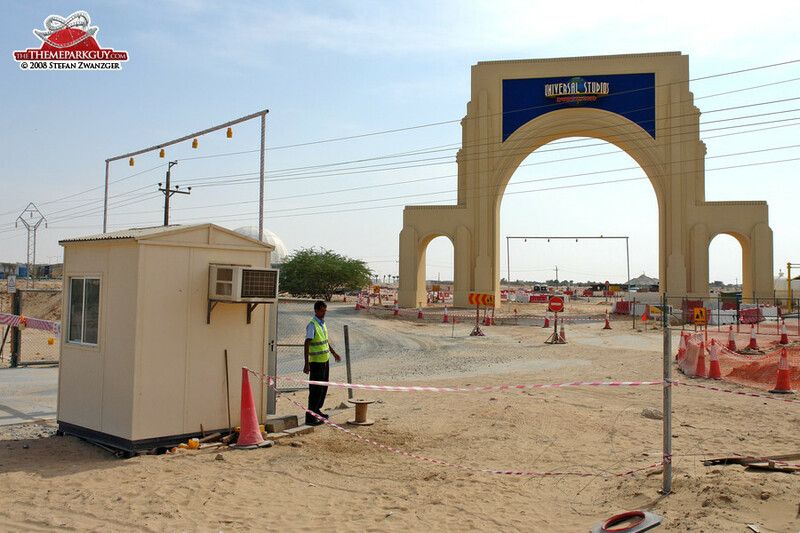 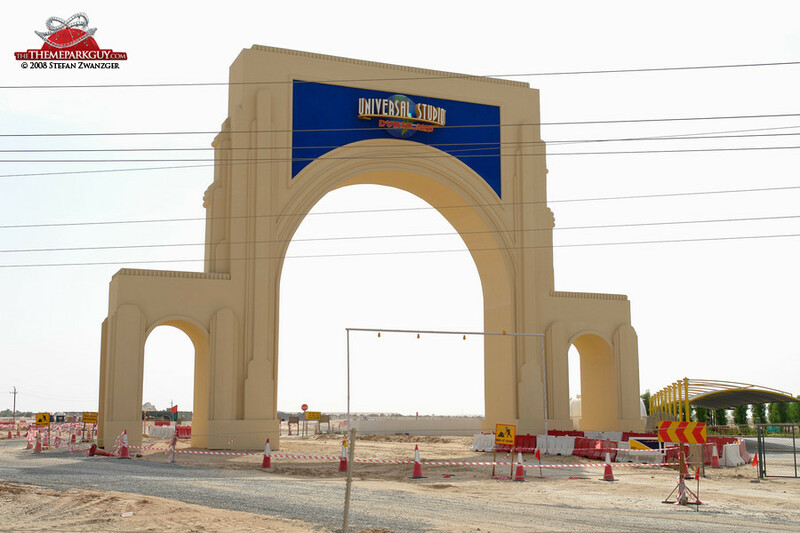 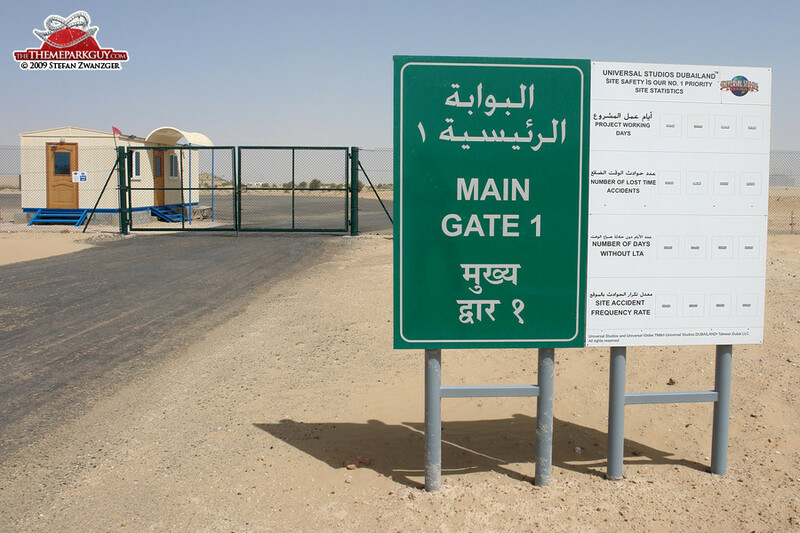 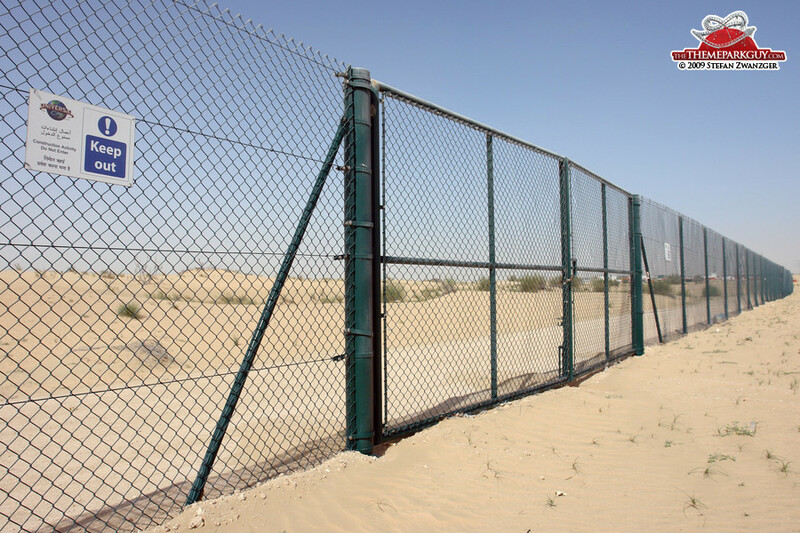 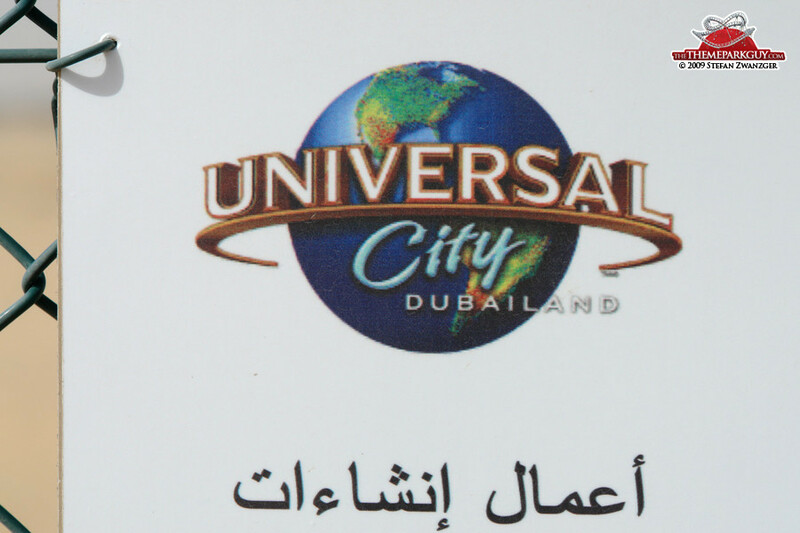 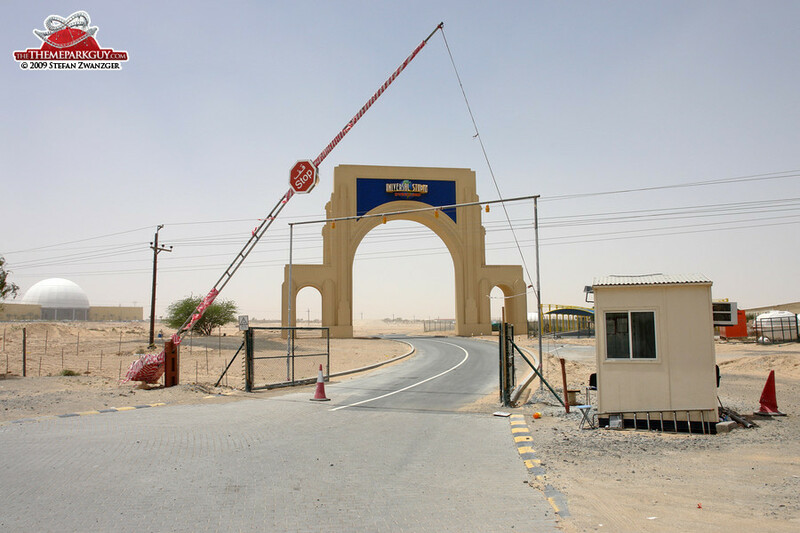 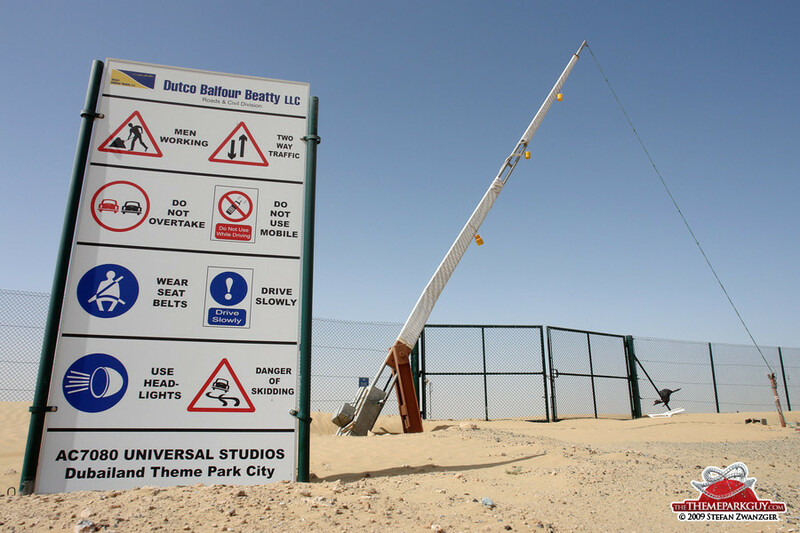 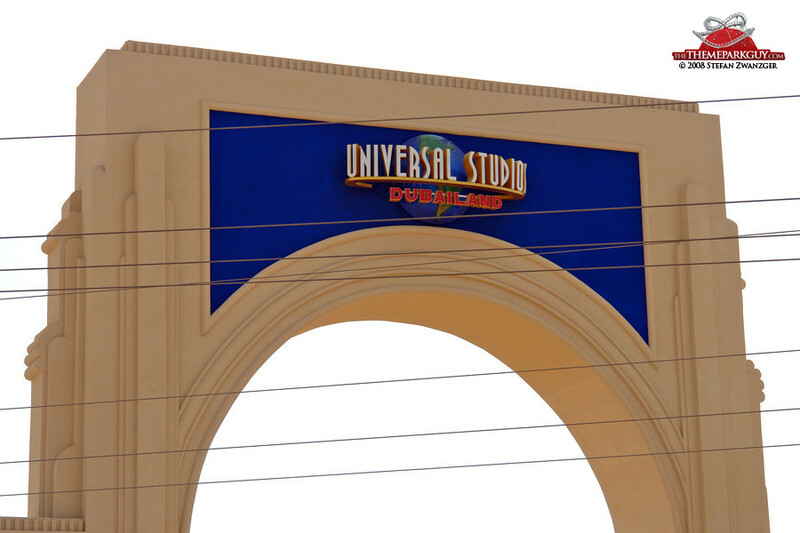 I was really excited when I accidentally found an Universal Studios gate on Al Ain road on my way to Dubai Outlet City Mall in January 2008. 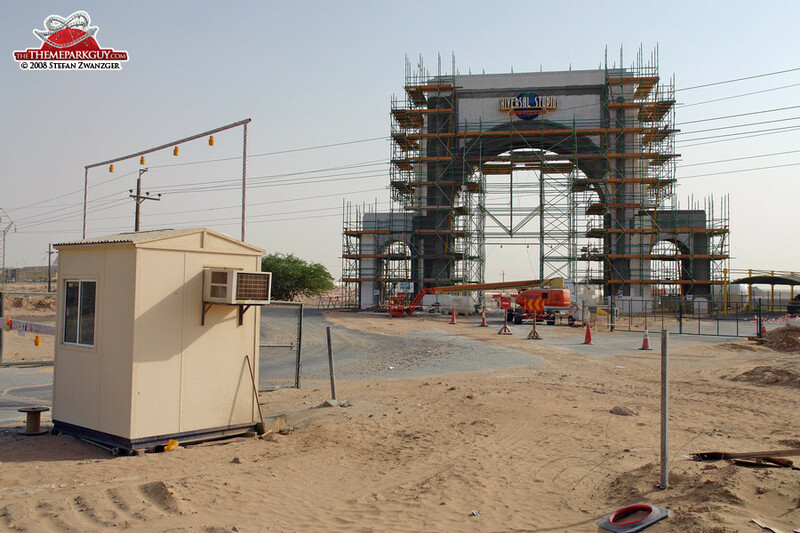 The gate serves as the entrance to the site’s office and there is construction going on behind it. 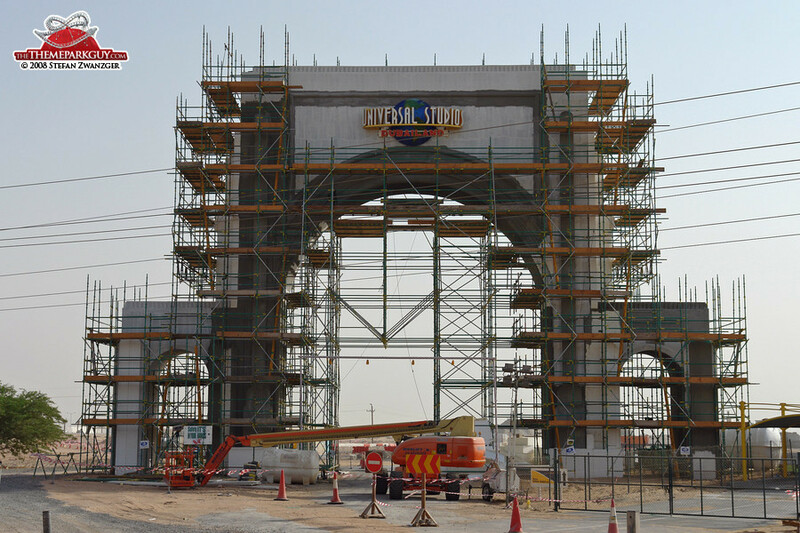 Something is happening in Dubailand!